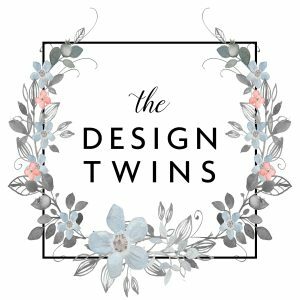 Welcome to our Easy Summer Styling Blog Hop! We are thrilled to be joining a spectacular team of ladies for this tour. A big thank you to Kelly at The Tattered Pew for organizing this awesome group! We know you’ll be inspired by every one of their posts. If you have just come from Kelly’s post, a very special welcome! Isn’t her home gorgeous? 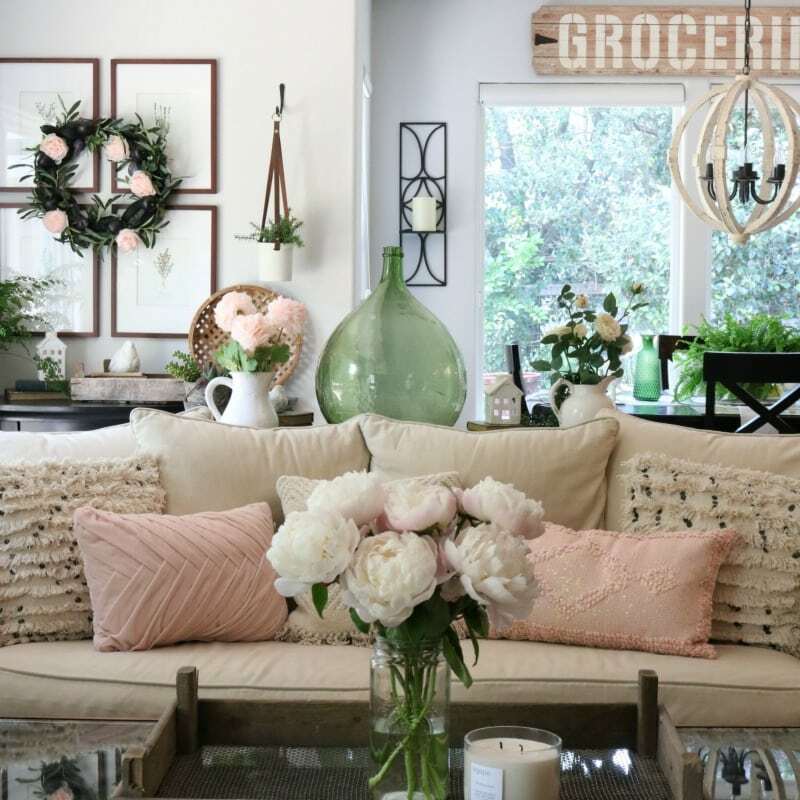 We are excited to share our summer theme: PINK DECOR! This post has affiliate shopping links that help support our blog. We so appreciate when you shop with us! View our complete disclosure here. 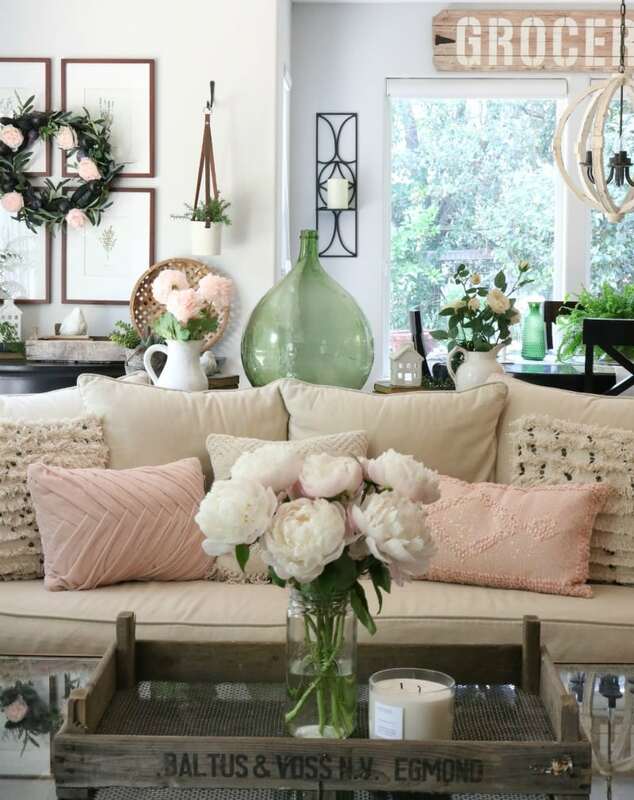 Variations of blush pillows look gorgeous and inviting. 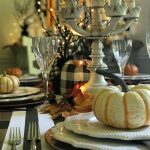 They mesh with almost any decor scheme, whether you are encorporating glam, farmhouse, modern, or classic styles. Pink can be glamorous and add feminine flair. Pink also contrasts beautifully with neutrals. 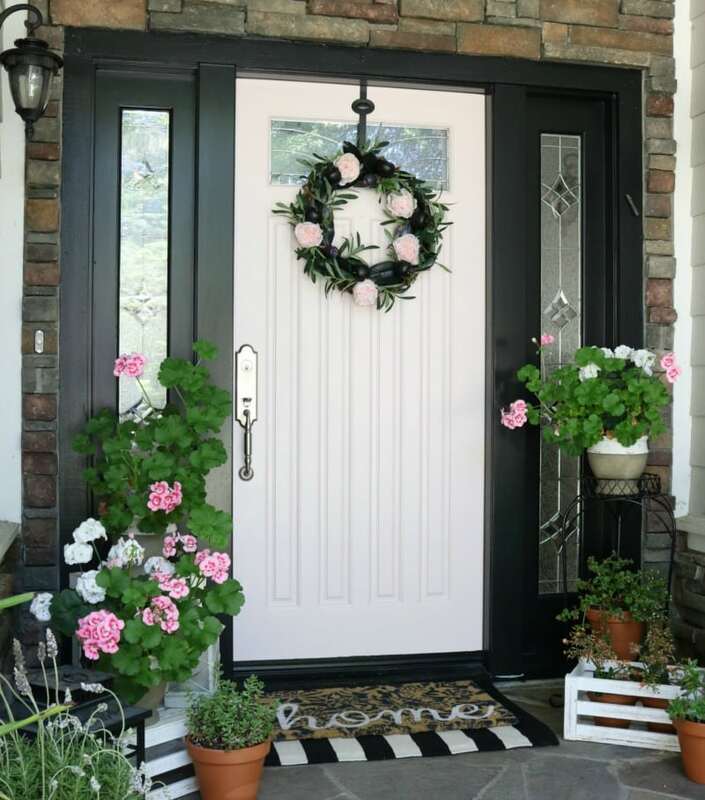 Depending on your shade it can be a wow factor or a soft addition of color. A coat of paint is an easy, inexpensive way to transform a space. 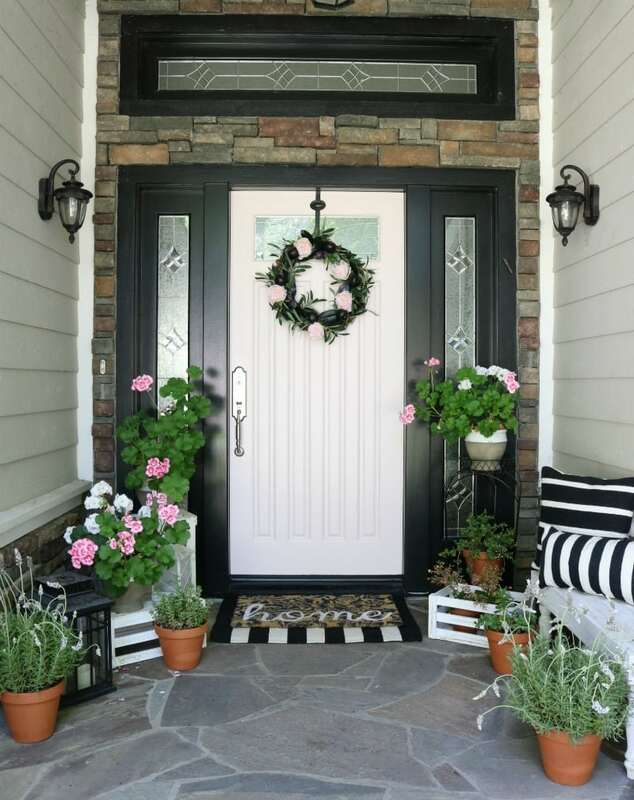 Jodie brightened up her front porch with a touch of soft blush paint. You can do the same with a single accent wall or an entire room! Never shy away from mixing hues of the same color! Don’t feel limited to one shade of pink, or any color for that matter. Decor is all about taking risks, and when these risks pay off, that’s when the real magic happens. Play with different color combinations and see where it takes you! Have fun mixing and matching! Looking for more ways to encorporate pink in your decor? We found a helpful resource with more great ideas for decorating with pink, choosing the right shades and more. Head on over to Michaels or your local craft store, pick up some solid cardstock, pretty floral scrapbooking paper, or a variety of materials: fabric, wrapping paper, or even a delicate pink ribbon. Cover a few of your coffee table books or regular books you own. Voila! Instant decor! 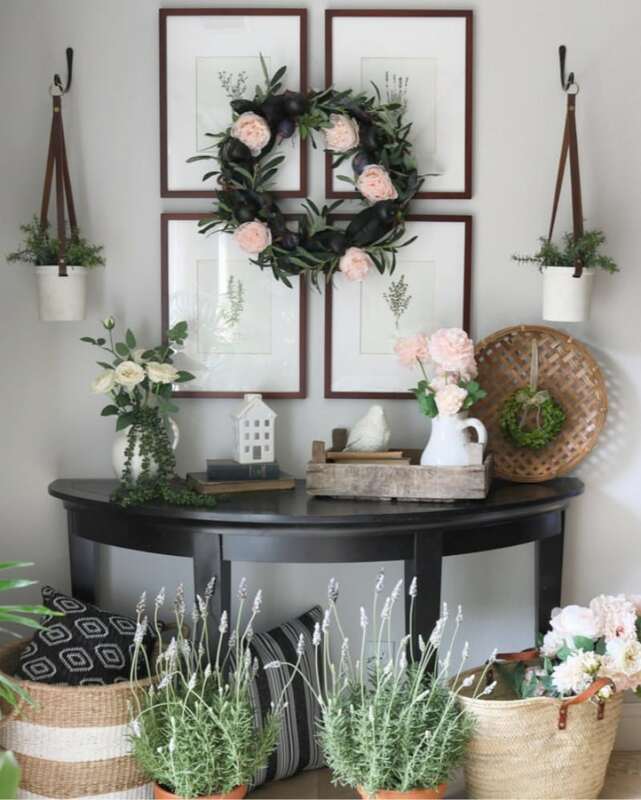 Add pink to a wall, mirror, or door with a seasonal wreath to encorporate a subtle touch of girlish charm to any space! You can easily transform a room by adding small pops of color throughout the space. These don’t have to be expensive or big. We already mentioned books (which we LOVE to use!) These small decor items can be anything from an elegant vase to an old fashioned clock. 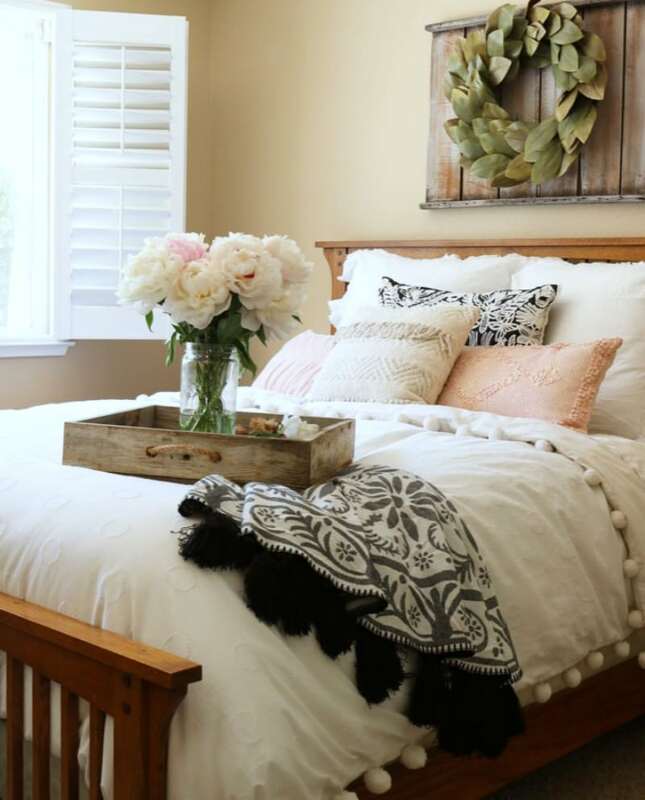 Think about adding a pink tray, rug, or even an inexpensive piece of art. Adding pink to a tablescape is such a fun, easy way to restyle a room. Jodie added a faux rose to top off her table settings. Glassware, napkins, tablecloth, chargers. Swapping out any of these items is a fresh way to work in color to your dining space. It’s a great way to create temporary changes that don’t cost too much. 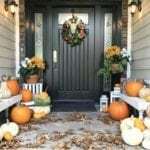 As the seasons change you can continue to evolve your home. Never thought of yourself as a “pink girl”? Don’t count yourself out until you’ve tried it! With so many beautiful shades you’re sure to find one that suits your specific style. 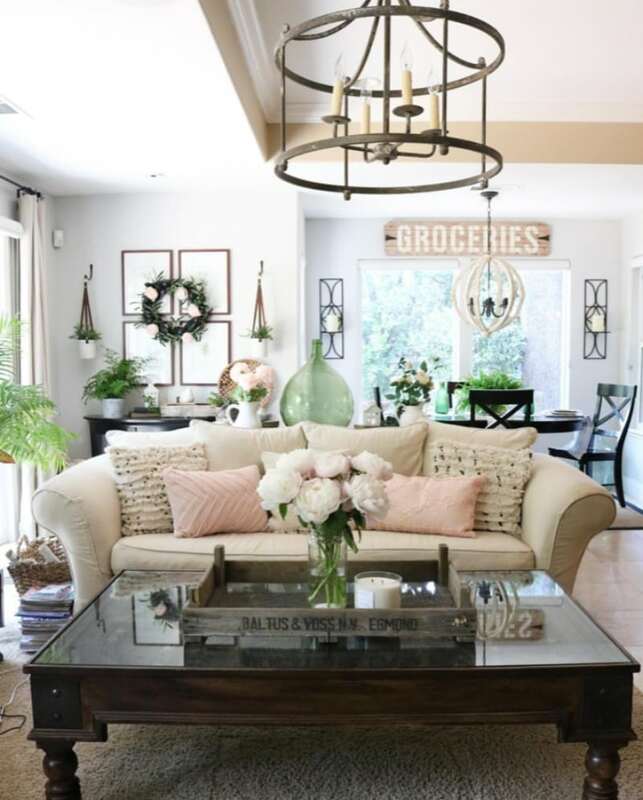 Adding a touch of femininity to your home will instantly bring the space to life! Like we said before, don’t be afraid to mix it up and take a leap of faith with your decor choices! Most importantly, never forget to have fun along the way! It’s never too late to THINK PINK! 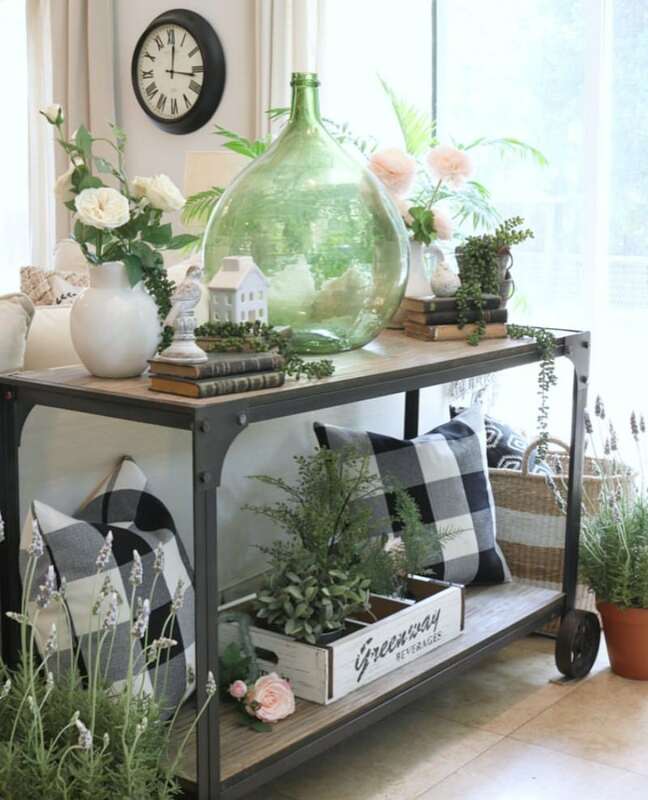 Now be sure to visit Jenna Kate at Home for more summer decor tips and inspiration! You will love her creative ideas! Pink Vibes! It's so easy to transform your house or apartment with these 8 winning ideas for encorporating this trending color. Thank you so much for the beautiful inspiration found in this post! Each way brought about new ideas and I especially loved the book covering idea! Your positivity and encouragement are contagious. I am honored to be on this tour with you both. Gorgeous, my friends! This is so beautiful my friends! I love how the pink is sprinkled throughout without being overpowering! Just a touch of blush everywhere. Beautifully done. 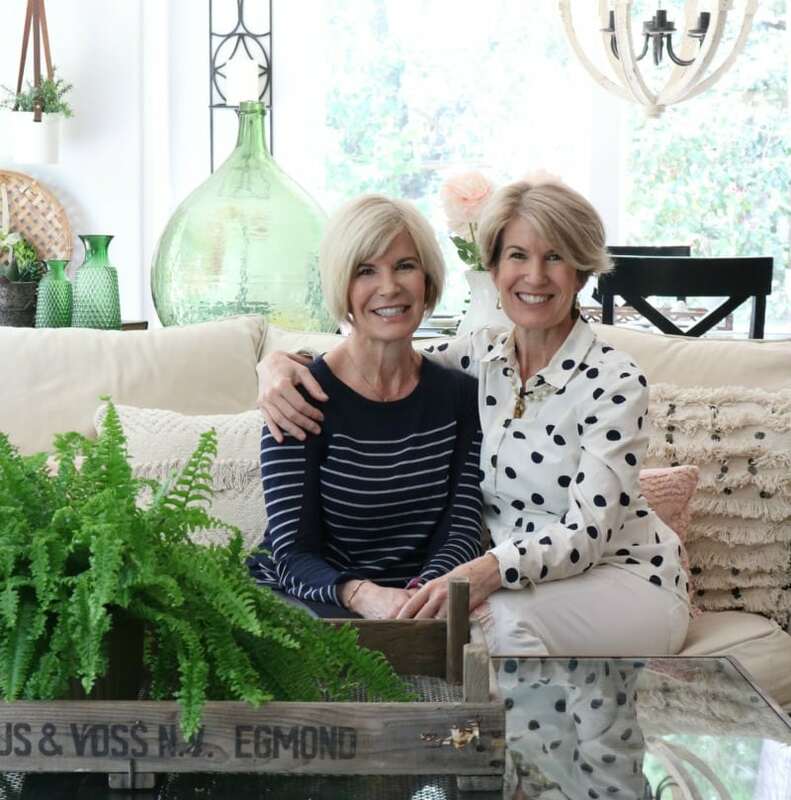 Such perfect Summer styling tips and gorgeous homes, Jodie and Julie! You’re both so talented and inspiring … love the blush (and now thinking where I can add some, too)! How lucky are we that you two share your incredible ideas so graciously! I’m so excited to be on this blog hop with you! Have a wonderful day. Ladies, always a pleasure to be invited into your homes. Love that you chose pink as your colour. As always you inspire! Thanks for the fun tips, I loved everything! You are too kind dear! We thought this was such a fun and fresh color for summer, and glad you loved it as much as we did! Thank you for the sweet comments and hope to see more of you on the blog! I love decorating with pink! 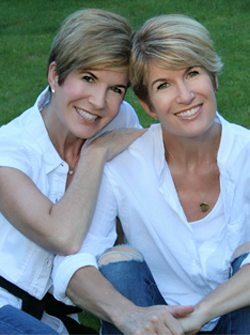 These are great tips, Julie & Jodie! We love it too!! 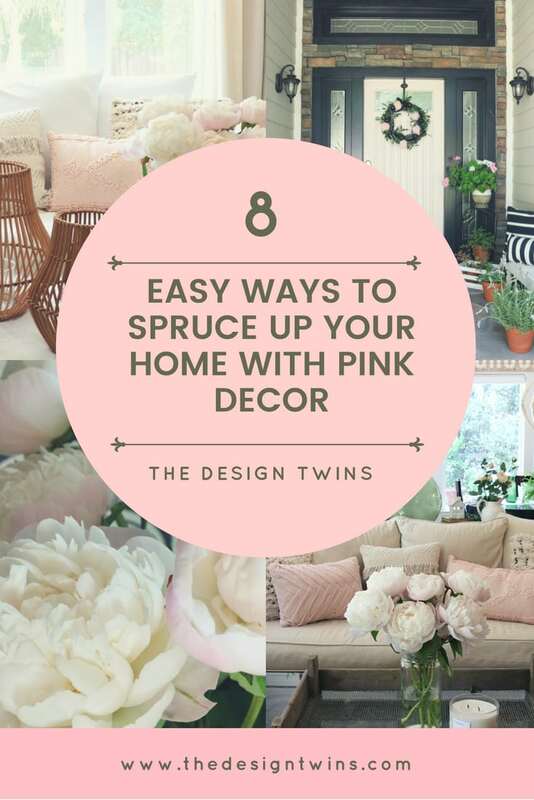 Who knew decorating with pink could be so much fun?! Thank you for the kind words and hope to see you on the blog in the future! Wow! Beautiful tour and awesome ideas! You two are so inspiring! Love everything about this! Ladies this was such a great post! I loved all of your tips, especially your book tips. I’m a book girl too. 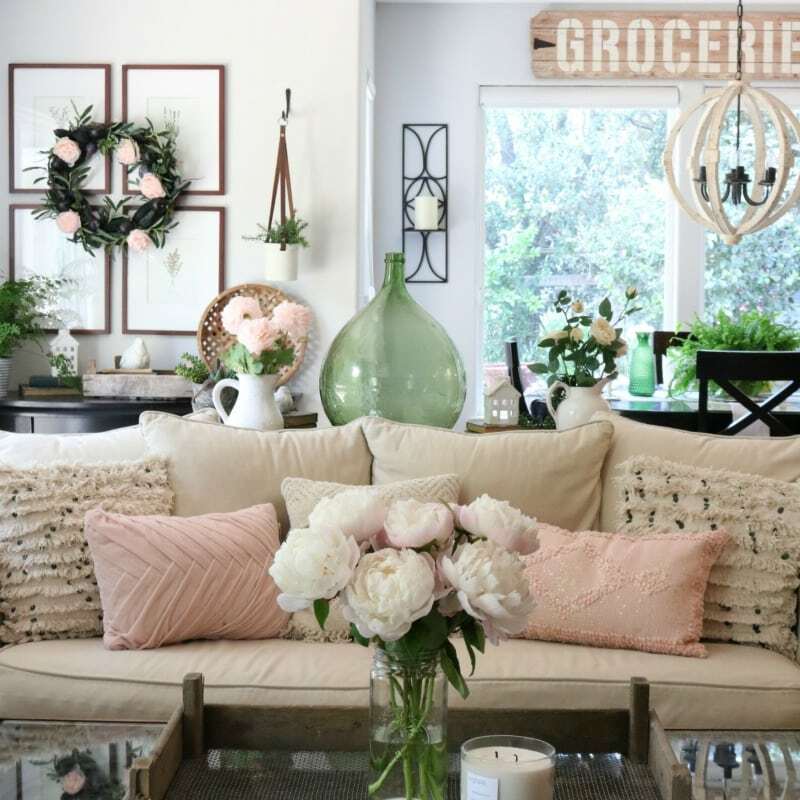 Your home is beautiful and I love all of the pink touches throughout! Thank you so much for joining me today! Ladies, these are amazing tips!! 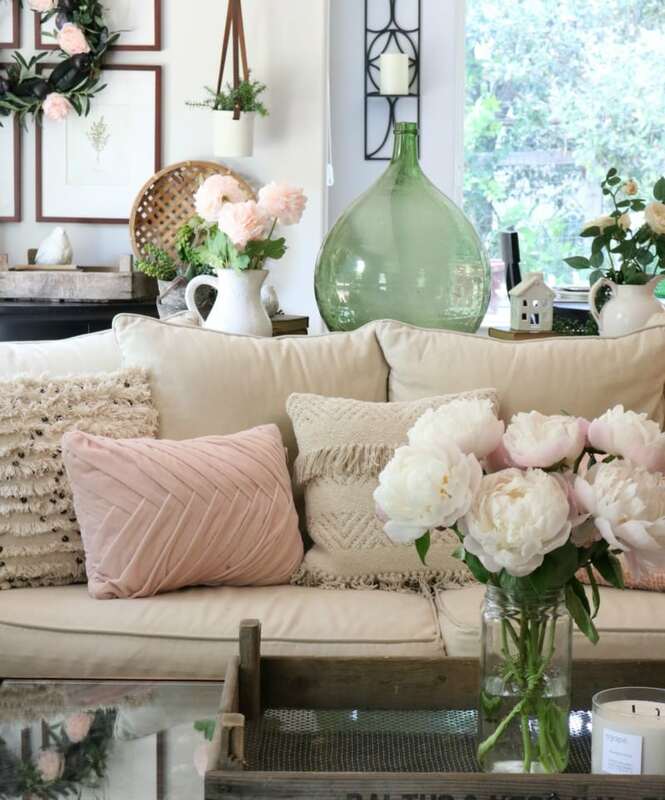 Pink has become a new favorite color of mine and I love how you’ve added it to your home. The recovering of books is a genius idea! I love all your pillows too!! So fun being on this tour with you XO! Thank you so much for the kind words! We are so glad you liked our pink tips and are so excited to be on this tour with you as well!! Sisters! I love these ideas and appreciate you so much taking the time to share them with us all. You are amazing! We are so glad you love these ideas and you are too sweet dear friend!! We hope to inspire you with our posts in the future and are so glad you found the blog helpful! 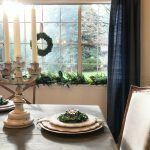 I just adore these fresh, pretty spaces and your encouragement to push outside our comfort zones! You are a constant inspiration! 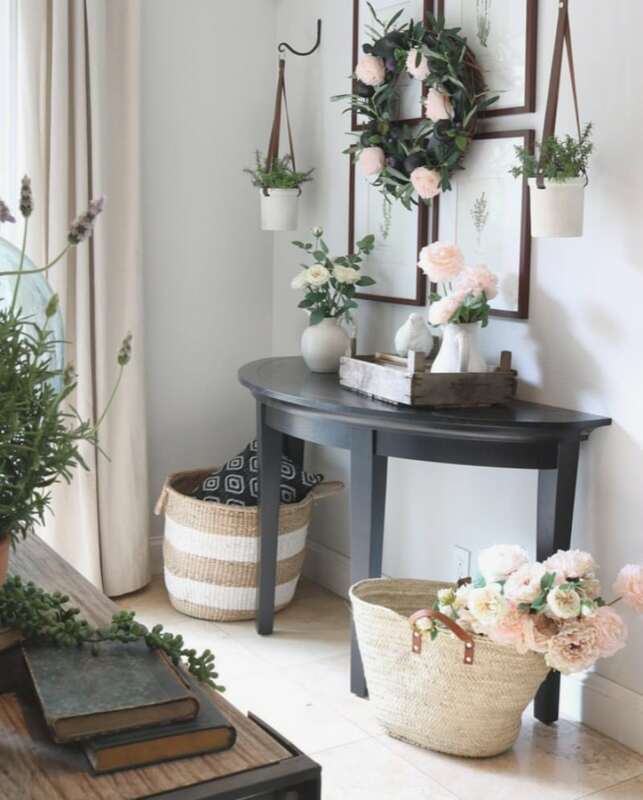 I love all the practical ways you incorporated pink and am definitely feeling the summer vibes! Wow, thank you so very much for the sweet comments!! You are truly a sweetheart! 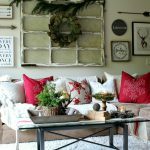 We are so glad that you enjoyed these summer decorating ideas and are honored to have inspired you to step outside of your comfort zone just a little! Absolutely LOVE this post Jodie and Julie. So much inspiration and so many great and helpful tips. I am definitely saving this for later and applying these ruled throughout the different seasons of the year. As always you both do not disappoint! 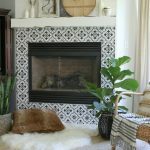 Loved seeing your homes styled for Summer! Wow, you are truly kind sweet friend! We are so glad you loved this post as much as we did! We had so much fun decorating with pink for summer and are so happy we inspired you to do the same! Thanks for the sweet comment again honey! Thank you for the great tips! I love your pink pops and everything is so fresh and perfect for summer. Thank you for the inspiration! Thank you for the sweet comments! 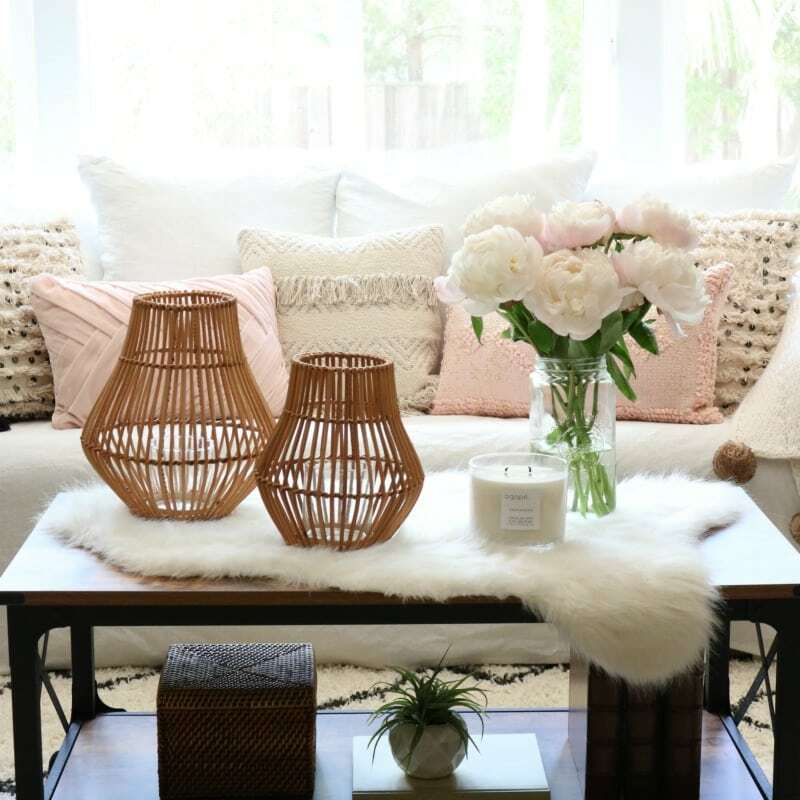 We are so glad you loved our tips for decorating with pink and that we inspired you to get decorating for summer! LOVE this inspiring home decor article. What about Pink Inspired wall mural or wallpaper?